16. Why Don’t You Try Me? 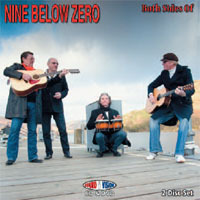 The DVD element of this release was recorded in 2007 at The Rheghed, Cumbria, England and the CD was recorded live in 2006 from their extensive tour of Serbia, Slovakia, Macedonia and Croatia. Acoustic and plugged, either way you can’t beat this band live!